Ask any baseball player who has just been part of a significant event — whether it’s a personal milestone or an important win for the team – about what it all means and his answer will almost always be the same. He’ll say that he hasn’t really had time to think about it, that it hasn’t sunk in, that he probably won’t fully appreciate the magnitude of what just happened until much later. That’s because only time can add perspective to memories — not to mention that, after a decent interval, a certain now-it-can-be-told sensibility sets in. The statute of limitations runs out on stories that might once have been deemed better left inside the clubhouse. 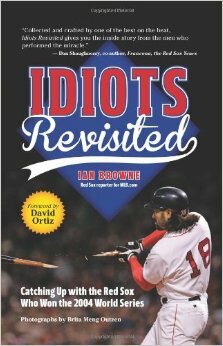 Longtime MLB.com Red Sox beat writer Ian Browne has deftly tapped into that reality with “Idiots Revisited: Catching Up with the Red Sox Who Won the 2004 World Series.” It is both an in-depth remembrance of the team that broke the franchise’s 86-year championship drought and a behind-the-scenes look at one of the most charismatic clubs in recent memory. Baseball is justifiably proud of how the Brooklyn Dodgers’ signing of Jackie Robinson in 1947, breaking the unofficial color barrier, played an important role in promoting civil rights in this country. 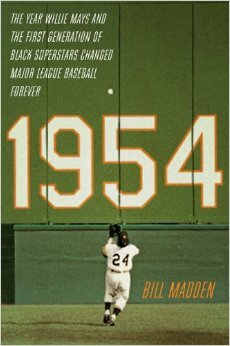 Award-winning baseball writer Bill Madden makes a compelling case in “1954: The Year Willie Mays and the First Generation of Black Superstars Changed Major League Baseball Forever” that the real impact of that historic event on the sport wasn’t actually felt until seven years later. It’s true that by then, Robinson was well-established in the big leagues. When Spring Training began that season, he had won a National League Most Valuable Player Award in 1949 and had made the NL All-Star team each of the previous five seasons. And it’s also true that the Dodgers had already added other African-American standouts such as Don Newcombe, Joe Black, Roy Campanella and Junior Gilliam. But integration in the sport was still the exception more than the rule. That was the year, for example, that Ernie Banks became a full-time player for the Cubs and when Hank Aaron made his Major League debut for the Milwaukee Braves. It was the year when, for the first time, both teams appearing in the World Series, the Indians and New York Giants, featured black players. It was the year that Willie Mays returned from military service and blossomed into one of the most magnetic players in history. His outsized impact on his team’s success is duly chronicled. It was the year that the Dodgers started five blacks on July 17, the first time in history whites had been outnumbered in the lineup. That was also the year that the Supreme Court ruled in “Brown vs. Board of Education” that segregation in public schools based solely on race was illegal. Still, at the beginning of the season, half the 16 teams that existed at the time had yet to use a black player. As baseball’s most storied franchise, there has been enough written about the Yankees to fill a library. 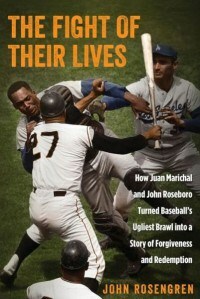 Every aspect of one of the world’s most recognizable sports team has been studied, examined, chronicled. Since Babe Ruth arrived in New York in 1920, the Yankees have won at least one World Series championship — actually, make that at least two — in every completed decade except one. 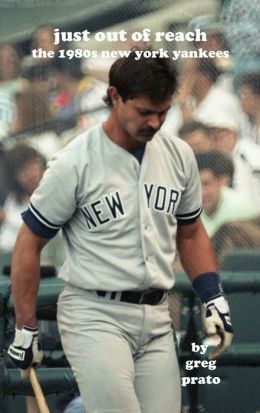 After losing to the Dodgers in the 1981 Fall Classic, not only did the Bombers not win it all again until 1996, they spent the next 13 years in the baseball wilderness, not even appearing in the postseason, their longest post-Ruth absence ever. So if you get a day off and have a three-hour flight to the West Coast, it means of course to bring along a good book. A real book that is and not a Nook, and our house in Plano is overflowing with books read on the road over 26 years. At least you hope to read a good book, but you really never know until you open one and take the plunge, and there are still more than a few lying around that were never quite finished for one reason or another.